Triangular-shaped stones, 15 to 25cm long, were some of the oldest human tools made to a regular pattern. 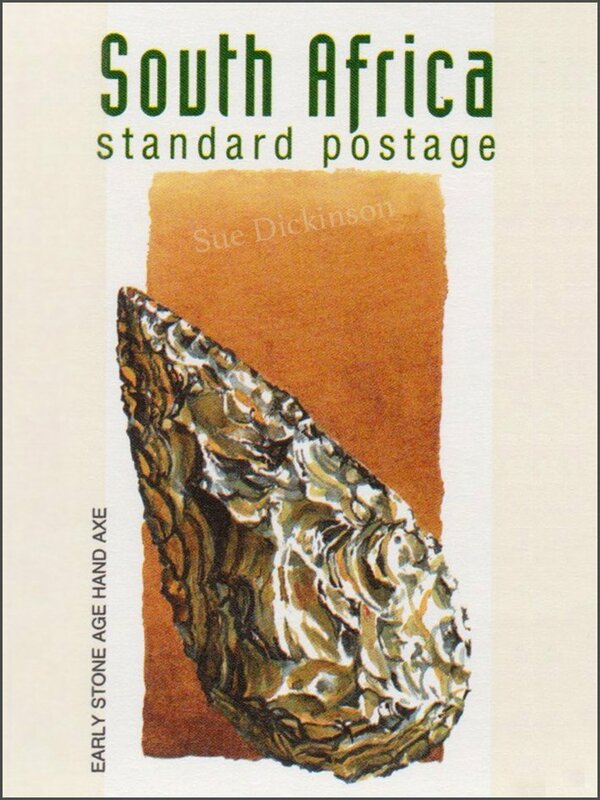 Flaked from hard stones such as quartzite and banded ironstone, hand axes and other similar tools may have been used to butcher large animals such as elephant, rhino and hippo. If so, our early ancestors became specialised scavengers about 1,8 million years ago. Some archaeologists believe early hominids continued to acquire meat in this way for 1,5 million years, the length of time hand axes were manufactured.